How would a border guarding force, which until now has patrolled an open and peaceful border, perform if given a task to handle internal security operations in Kashmir? Even if they undergo all the necessary training programmes, how will they understand sentiments in the Valley? 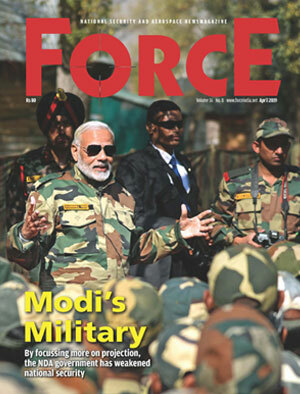 Most importantly, can they replace another paramilitary force that is deployed in Kashmir for nearly 50 years? These are some of the questions that may play out in people’s mind on hearing about Sashastra Seema Bal’s (SSB) deployment in the Valley. But the ministry of home affairs seems to be convinced that SSB is capable enough for such a change, giving a go ahead to replace five battalions of the CRPF in the Valley. “MHA has decided that SSB should be inducted in the internal security duties in the Valley and also take on responsibilities in the anti-Naxal grid. So, we are in the process of deploying seven battalions for these operations of which five are in Jammu and Kashmir and two are in Jharkhand for the anti-Naxal operations,” said Somesh Goyal, Inspector General (special operations), SSB. “Five battalions have been pressed into Jammu and Kashmir out of which three battalions are pressed into the Kashmir Valley (Srinagar and around) and two battalions are in Doda and Kishtwar regions,” he added. SSB’s Doda battalion has already been operational from the first week of March. The second battalion completed its training in the first week of April and became operational by April 15 in the Kishtwar region. The remaining three battalions have also finished training. “By the first week of May or so, the five CRPF battalions will be pulled out of Kashmir and take on responsibilities in the Naxal affected areas,” said Goyal. Among the SSB troops that were given the anti-naxal operations in Jharkhand, four companies of one battalion have been inducted in east Singhbhum, Jamshedpur. Also, half a battalion has been inducted in Ranchi. According to IG Goyal, the role of SSB officer will be very similar to that of a CRPF officer — from normal law and order duties where the officer carries a cane shield to counter insurgency operations. Apparently, it would entail law and order duties side by side with the local police, as well as Road Opening Party (ROP) duties. It would also entail guarding some peaks and known exit points of the militants. “The only difference now is that the security forces will be wearing the shoulder badge of SSB instead of CRPF,” he proudly stated. If the SSB were to function exactly like the CRPF, in all certainty they are likely to face the same problems as well. In the existing scenario, one of the major impediments to the CRPF activities in the Valley is that only one third of its company is allowed to use rifles while the rest of the troops in that company function without any weapons, or just have a lathi. In order to arm themselves against frequent stone pelting that began in 2008, CRPF men often carried stones along with the cane shields.